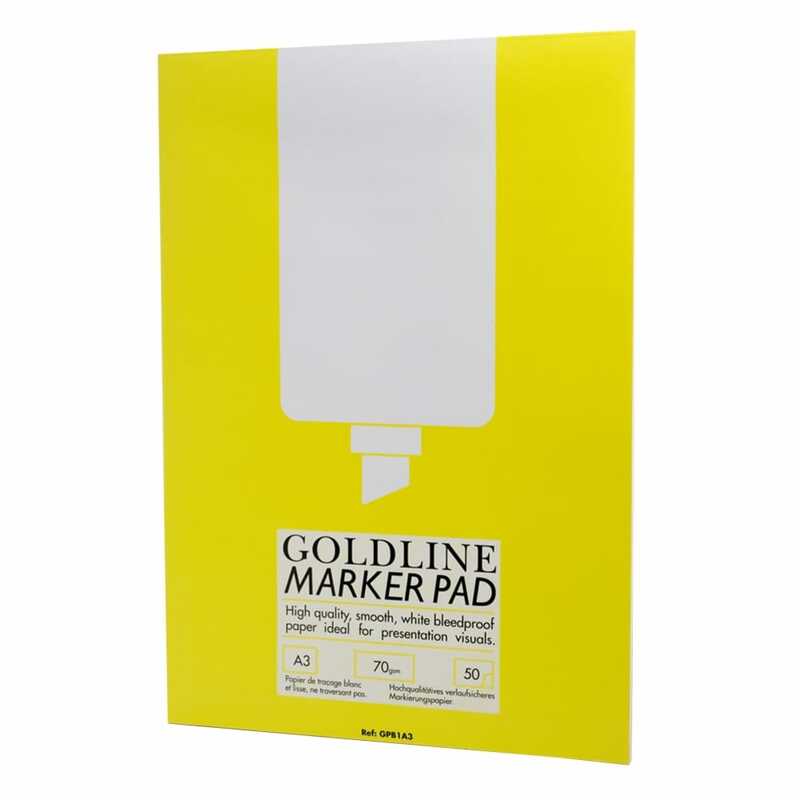 Goldline A3 bleed proof marker pad has high quality smooth white 70gsm bleed proof paper which is ideal for presentation visuals. Acid free paper. A bit about the brand: Claire Fontaine produce great paper products for people of all ages. With a line of pre printed sketch books to help children and budding artists and designers to perfect their drawing skills.